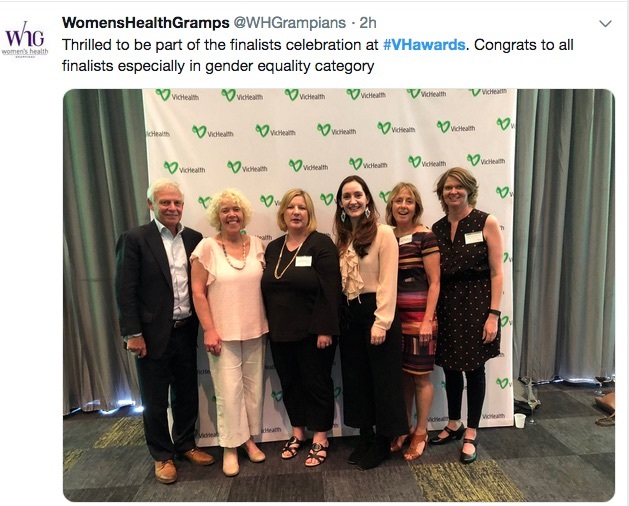 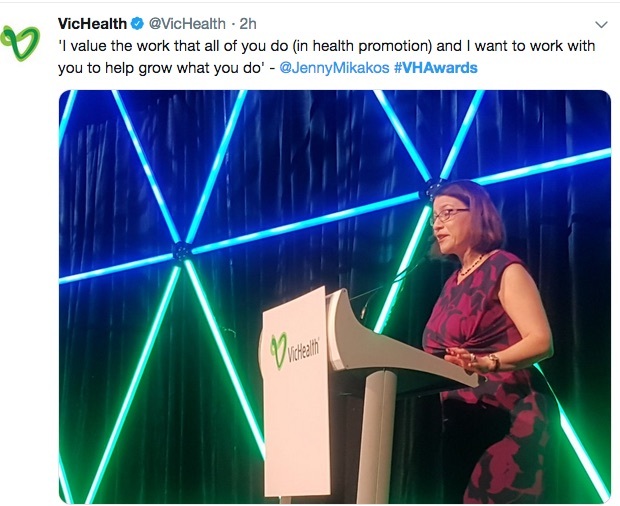 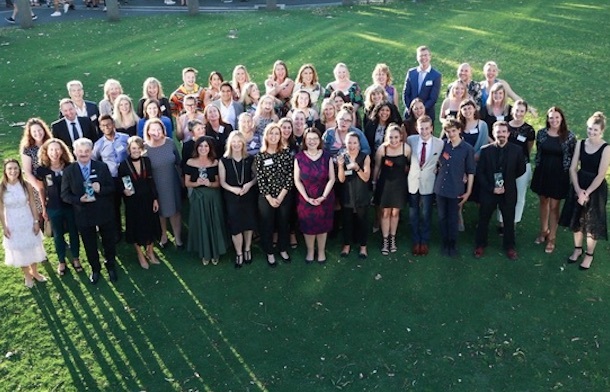 The structural drivers of poor health and wellbeing, including gender inequality, racism, discrimination, and the vested interests of the food and gambling industries, were centre-stage at the annual VicHealth health promotion awards this week. 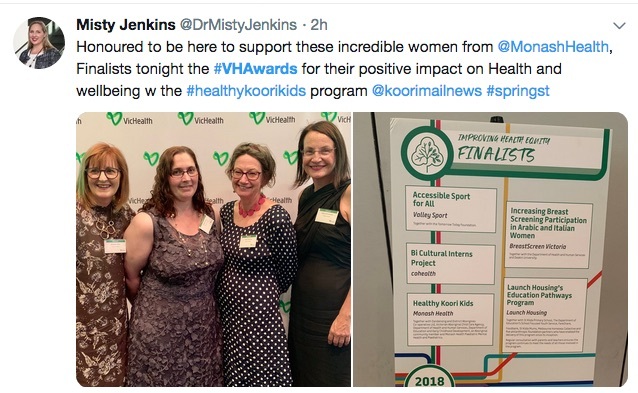 It was a focus that contrasted with the recent release of the Federal Government’s National Sports Plan, which is all about increasing participation in sport, but does not mention critical factors like racism or alcohol/junk food marketing. 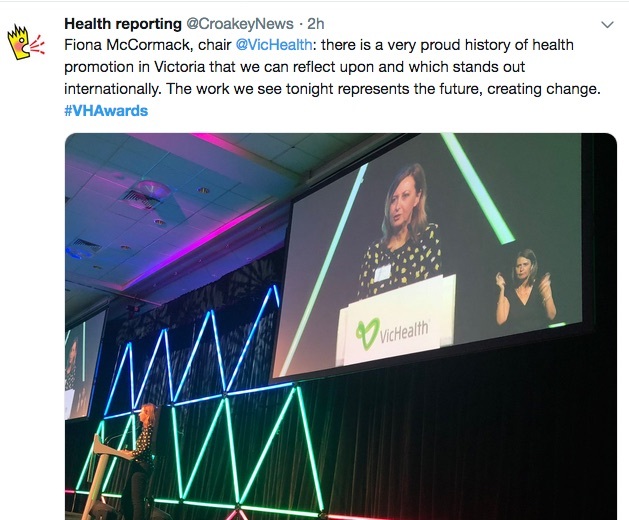 The awards event, covered by Marie McInerney for the Croakey Conference News Service, also highlighted many issues that still are not on the policy agenda, including the health impacts of climate change and proper funding for preventive efforts. 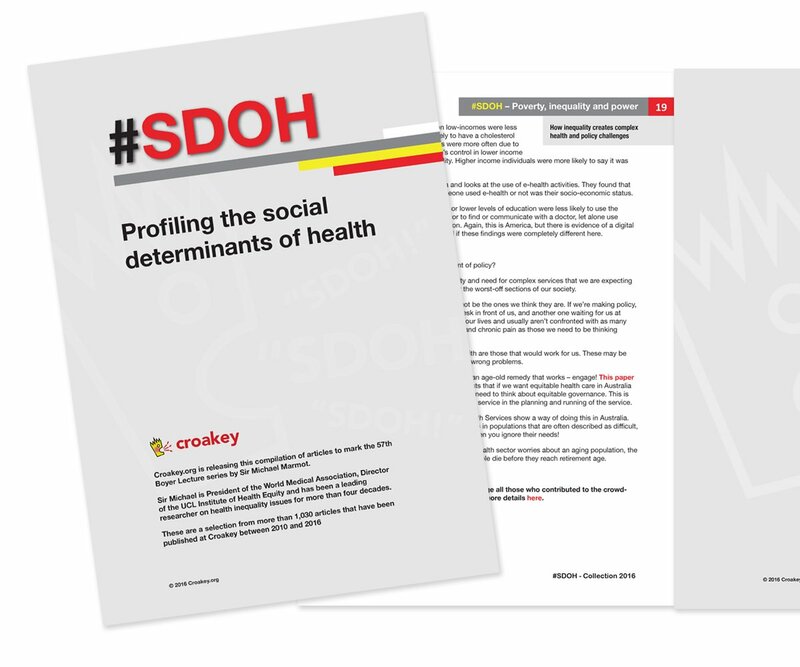 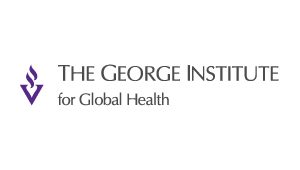 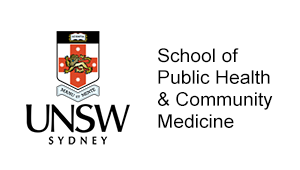 What are the preconditions for achieving strong change in public health? 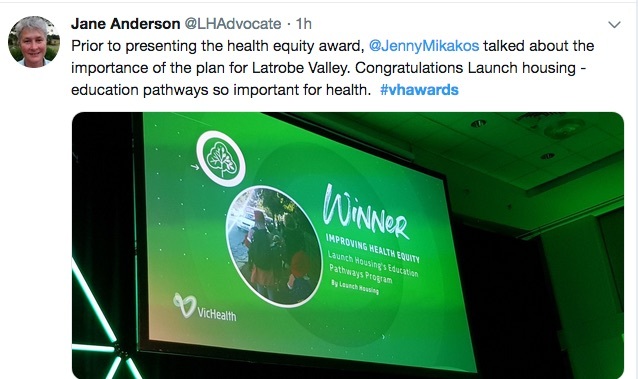 The power of stories, the right timing, a legacy of sustained and courageous action, and the need to understand and confront the structural barriers to health, such as racism, homophobia and gender inequity. 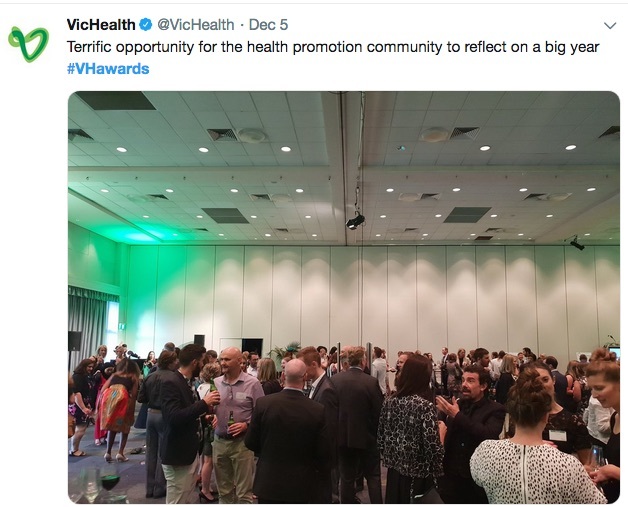 These are some of the factors for change that were highlighted at the annual VicHealth health promotion awards in Melbourne, through the work of the winners and finalists across many categories and across the state, as well as during a panel discussion leading up to the awards ceremony. 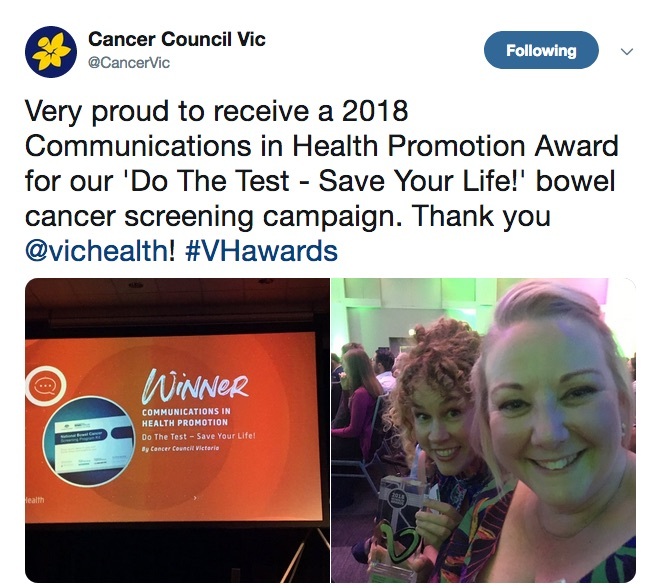 Winning projects included education and housing support for vulnerable students, a Cancer Council Victoria campaign that boosted the bowel cancer screening participation rate from 43 percent to 57 percent, and a community campaign that cut sugary drink consumption in local sports centres. 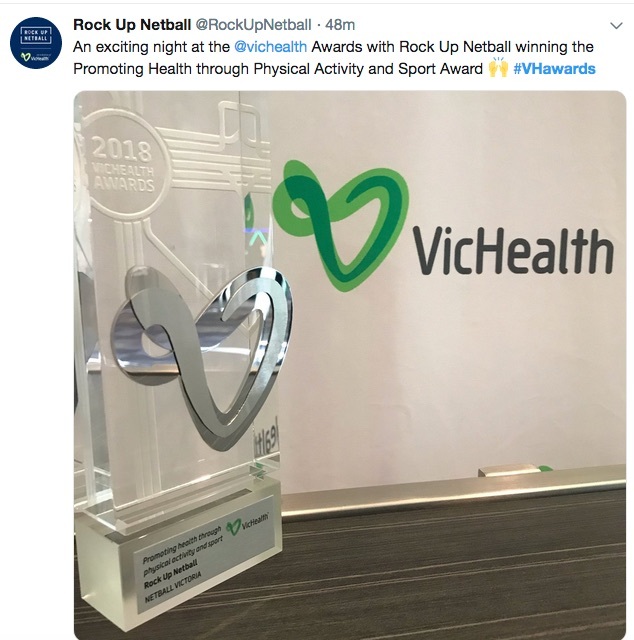 The capacity of the Australian Football League to make the most of its deep roots in Victoria was also evident, with many shortlisted programs and projects representing both grassroots and corporate AFL. 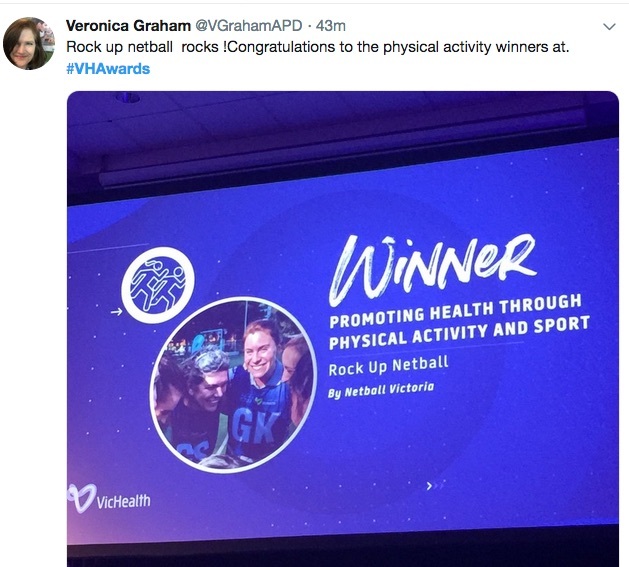 These included two initiatives from the North Melbourne Football Club, which is the first professional sporting club in Australia to develop an evidenced-based Gender Equality Action Plan, done in partnership with Our Watch. 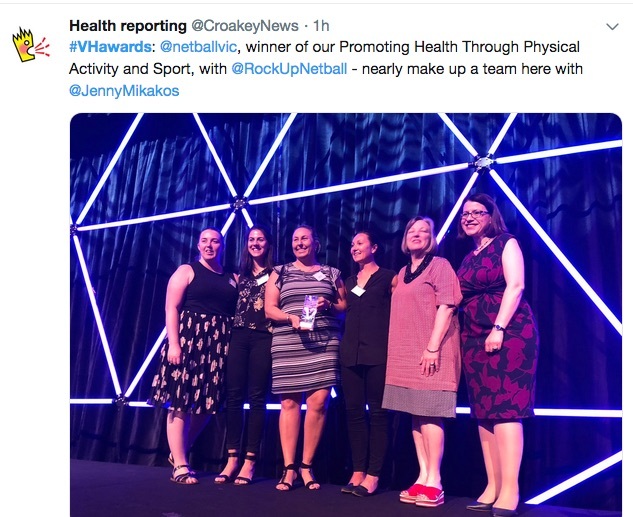 It was also shortlisted for its ‘Be Brave, Speak Up’ campaign to stamp out racism that involves high profile athletes across many codes and sports. 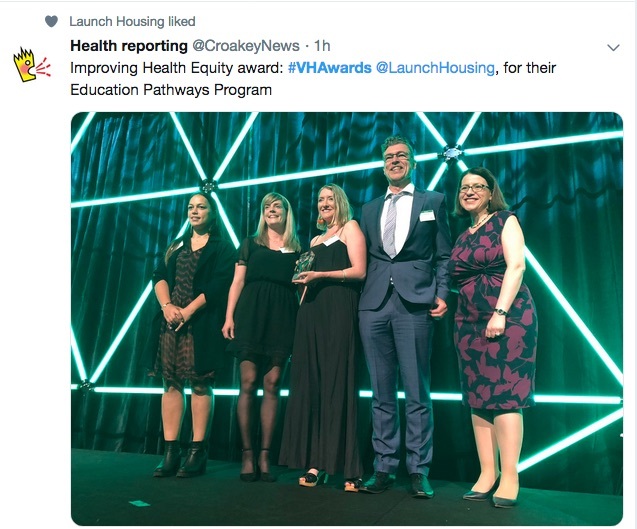 One terrible irony that became apparent during the event was the amount of good work being done, often funded by government, to alleviate the impact of harmful government policies or politics. 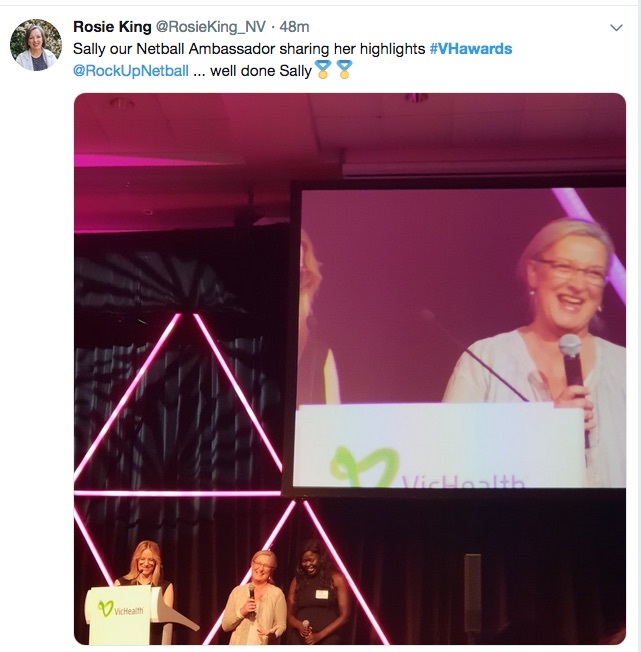 That included the award-winning Coming Back Out Ball, held to encourage and connect LGBTIQ people aged over 65, many of whom lived their lives not feeling safe because of harsh laws and ongoing discrimination that is now forcing many “back into the closet” as they look to access aged care. 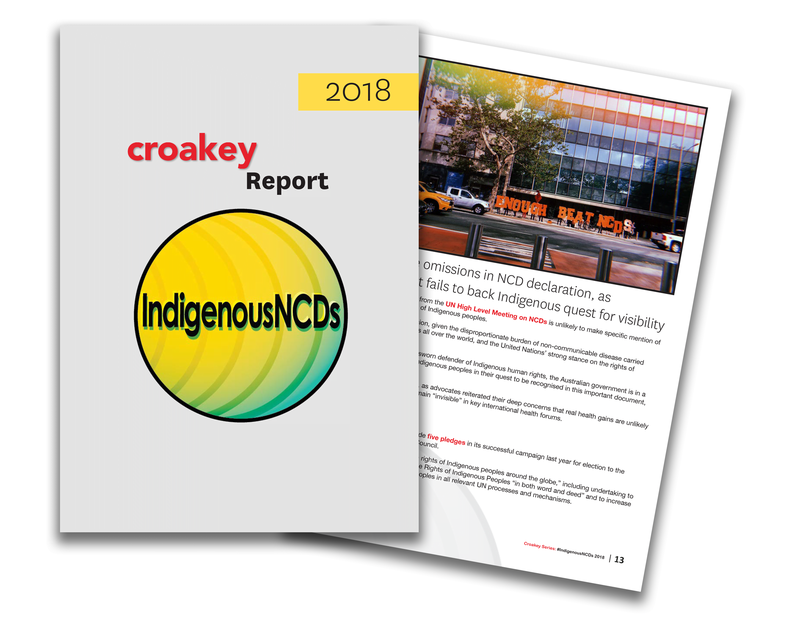 (A story on this initiative will published at Croakey in coming days). 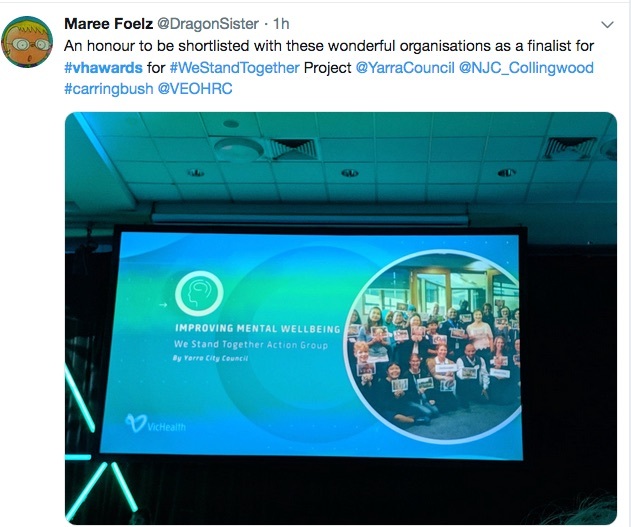 Similarly, the We Stand Together program, was launched in Melbourne in response to increasing reports of race or religion-based attacks and abuse in an election year that saw racial fears and stereotype being whipped up by politicians and media. 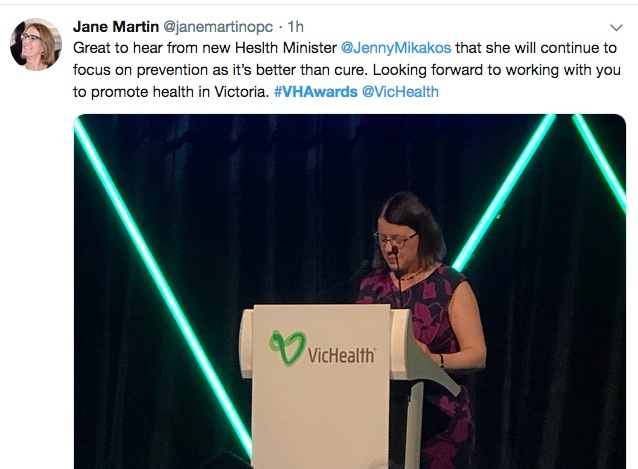 At the awards ceremony, key politicians talked about the importance of prevention. 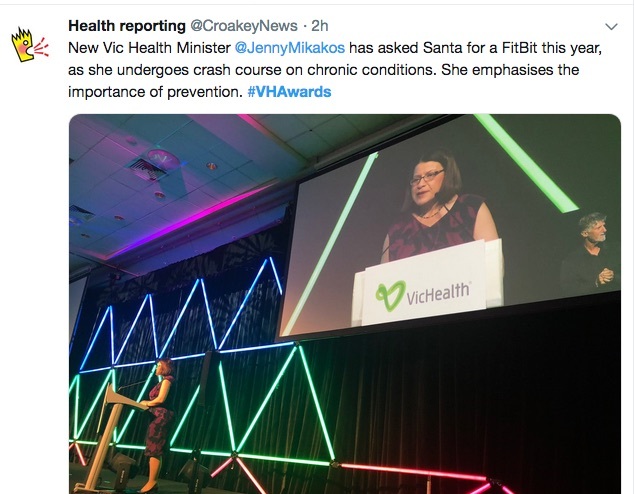 Newly appointed Labor Health Minister Jenny Mikakos highlighted work not just in tobacco control, healthy food and screening, but the importance of community infrastructure that aids exercise and interventions to “lift” disadvantaged communities. 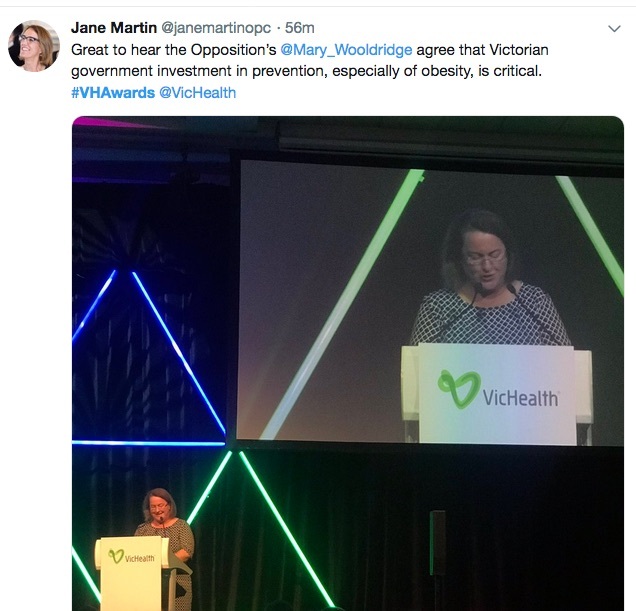 But, as Opposition health spokeswoman Mary Wooldridge pointed out, only two per cent of the health budget in Victoria goes towards prevention, when we know the urgent need to address issues that are not only in front of us now but also those set to emerge “10-20-30 years down the track”. 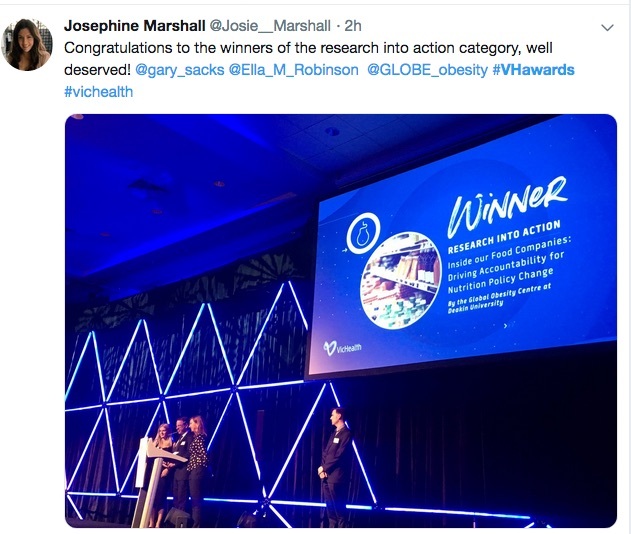 Notably, however, the health impacts of climate change did not feature in the awards, despite the recent warning from the UN Intergovernmental Panel on Climate Change (IPCC) that we have just 12 years to make transformative change, and a new World Health Organization report calling for health leadership on climate action. 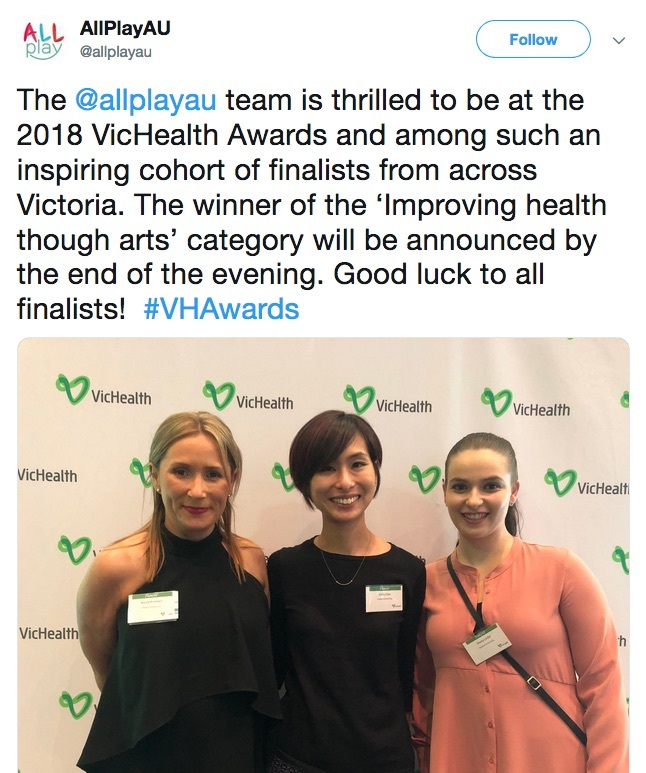 Air quality and climate change were two of the critical future public health issues nominated by Dr Bronwyn King during a panel discussion hosted by ABC TV presenter Virginia Trioli in the leadup to the awards presentation. 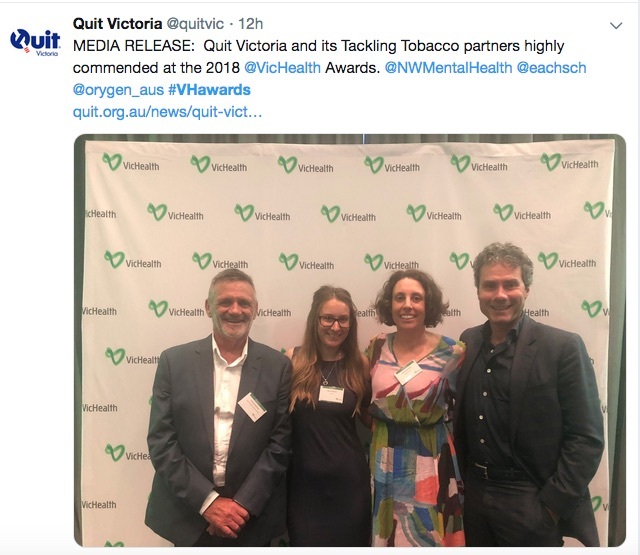 King is a specialist radiation oncologist and the founder of Tobacco Free Portfolios, which she launched after being shocked to learn in 2010 that some of her super contributions were flowing to tobacco companies through the default option of her super fund. 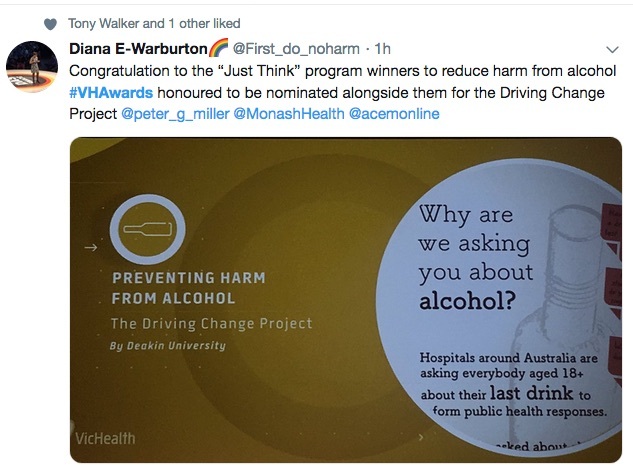 She is also concerned about a lack of understanding in the community of the direct and dramatic link between alcohol consumption and other cancers, particularly breast cancer. 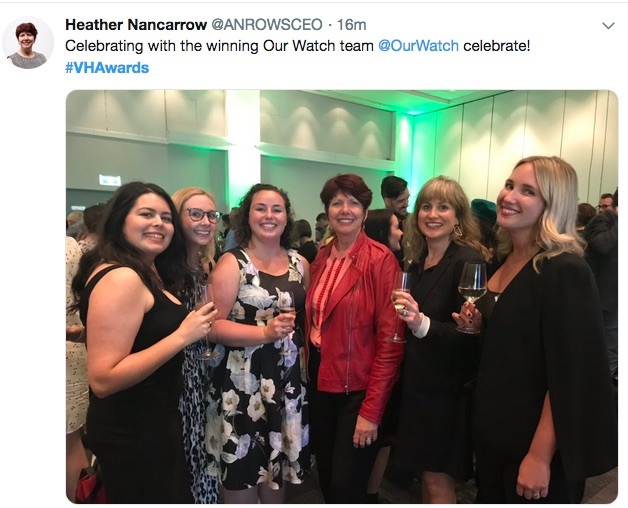 “I see patients who are otherwise superfit, young, healthy, no family history, but if they’re drinking two to three glasses of alcohol a night, that’s too much!” she said. 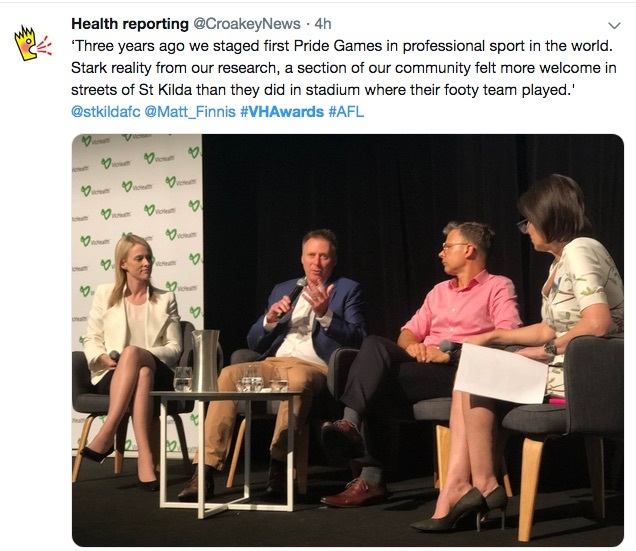 King was joined on the panel by Dr Bruce Bolam, Victoria’s Chief Preventative Health Officer, and Matt Finnis, CEO of St Kilda Football Club, which has led the development of the AFL’s annual Pride Game, in solidarity with the LGBTIQ community. 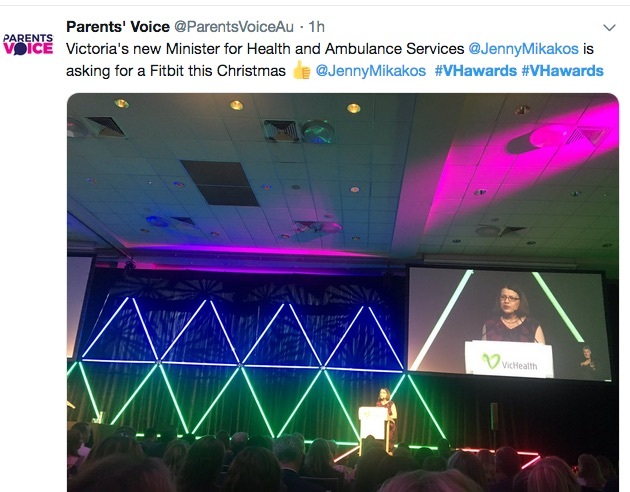 Finnis sees the next major need for change to come in the “attitudinal and structural elements that undermine true gender equity”, which he pointed out are the root and cause of many other issues like family violence that have a massive impact for health. 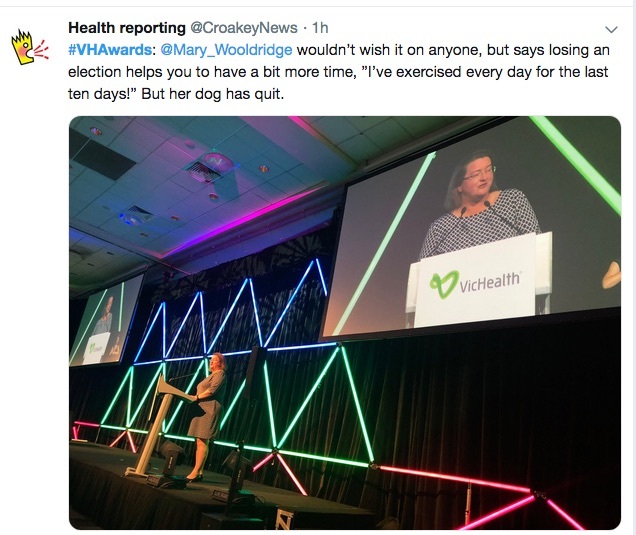 He also sounded the alarm about bad old tactics now being replayed, warning that we are seeing the “same strategies of grooming” in sports betting that Big Tobacco used to attract new smokers. 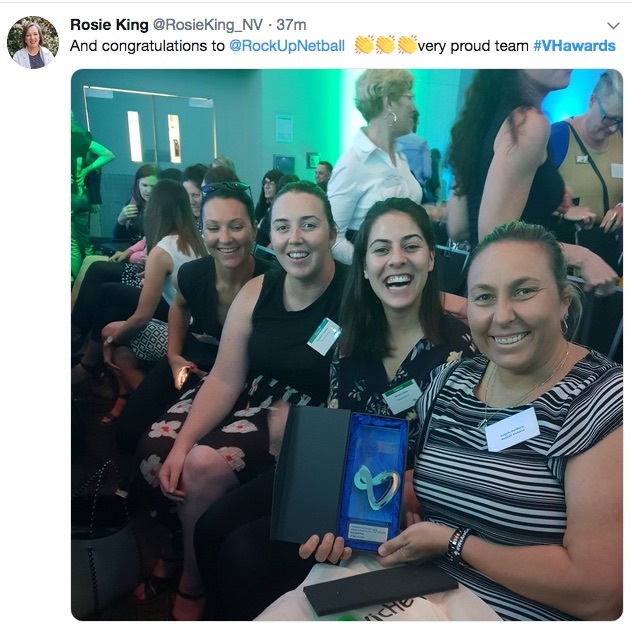 This refers to concerns that the online betting industry is borrowing from the tobacco industry playbook and grooming children via family football games to take an interest in gambling. 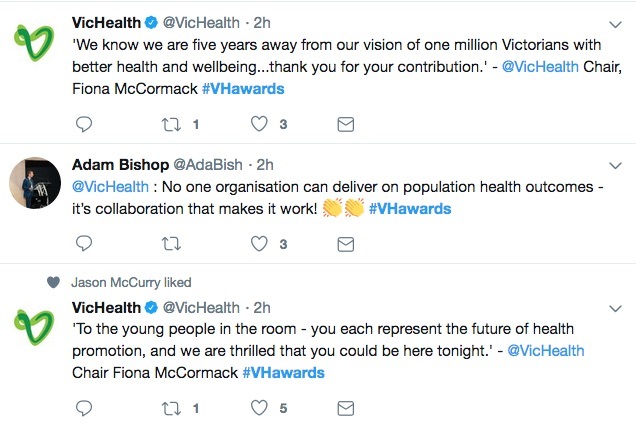 Asked to describe their work in the context of past achievements in public health, the panel talked about the power that comes from a legacy of innovative campaigns, particularly in Victoria, including the Quit smoking and SunSmart campaigns. 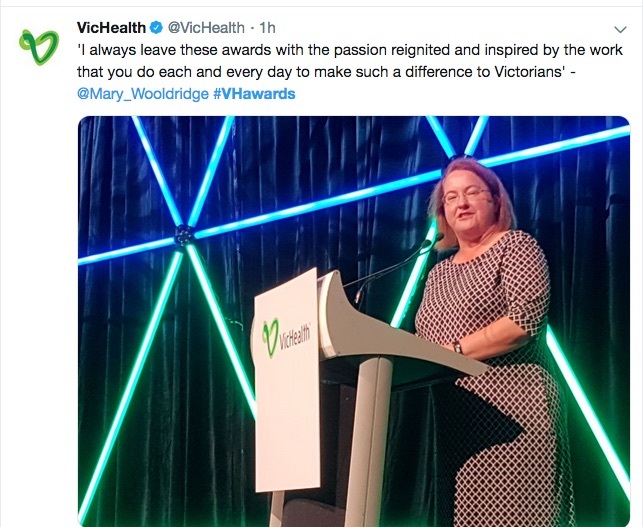 King said she only realised how those public health victories laid the groundwork for future change when she started to take the Tobacco Free Portfolios campaign globally and found it was “really, really hard” by comparison. 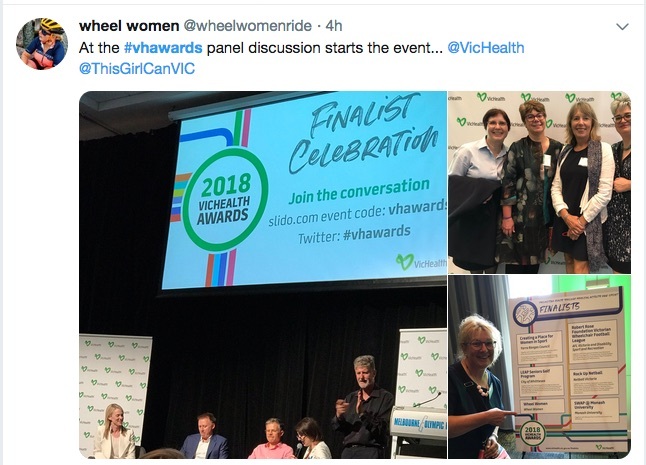 But it’s also important, the panel heard, to remember that past change was also often difficult to achieve – so that we can still have hope for future change that now seems out of reach. 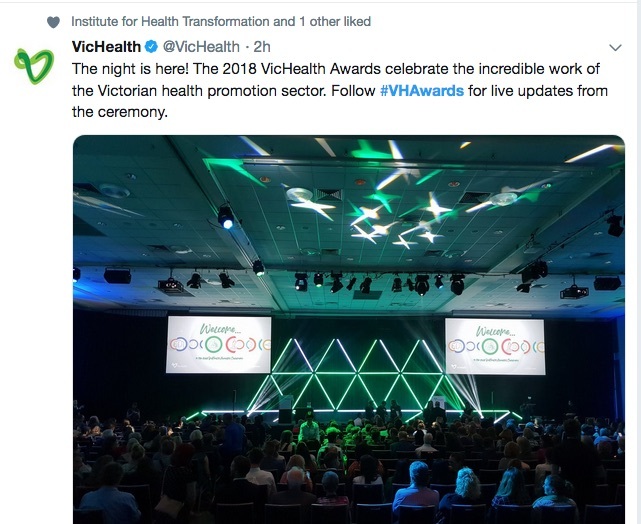 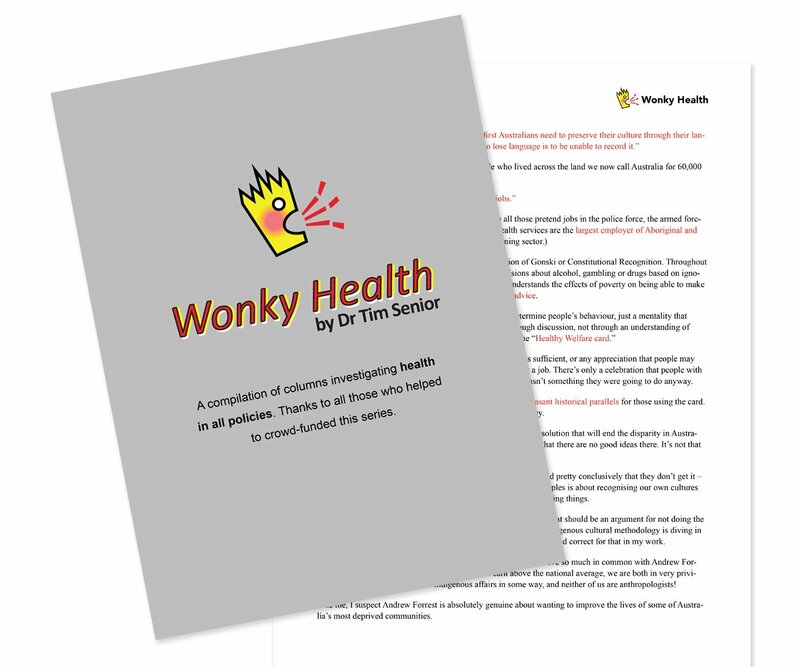 Finnis reminded the audience that it once seemed “unthinkable” that the Melbourne Cricket Ground, the home of the AFL, would be smoke-free or that bronzed Aussie lifesavers would cover up to avoid skin cancer. 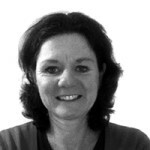 But now these once-radical changes were considered completely normal. 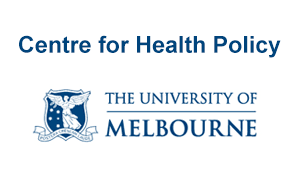 Asked what other preconditions are necessary for major shifts, Bolam had a clear recipe that has particularly been proven in tobacco control in Australia: “multiple layers of interventions, at scale and sustained”, via legislation, policy change, and programs for individuals and communities. 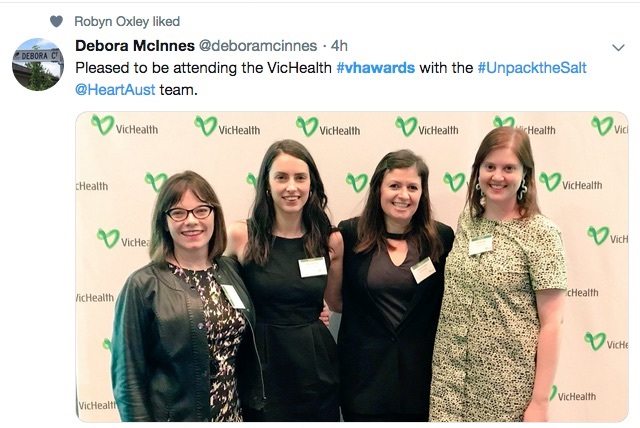 The best work always happens when there is a momentum for change that can be galvanised. 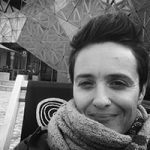 Timing was a key to St Kilda three years ago staging the world’s first Pride Games in professional sport. 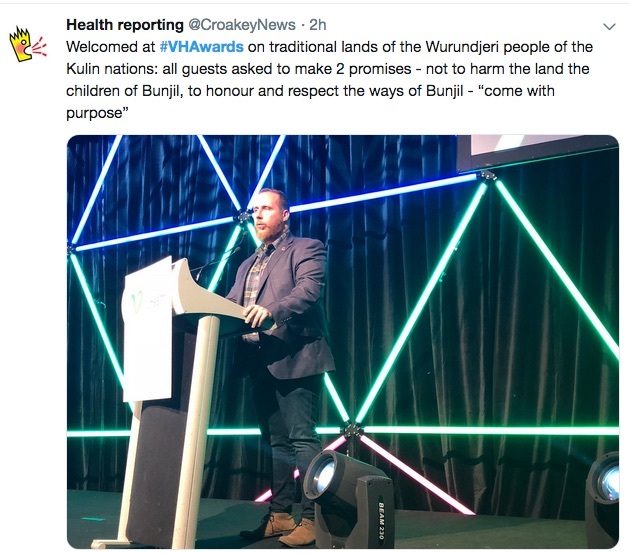 Finnis said he didn’t think the landmark event could have gone as well even just two years before that event. 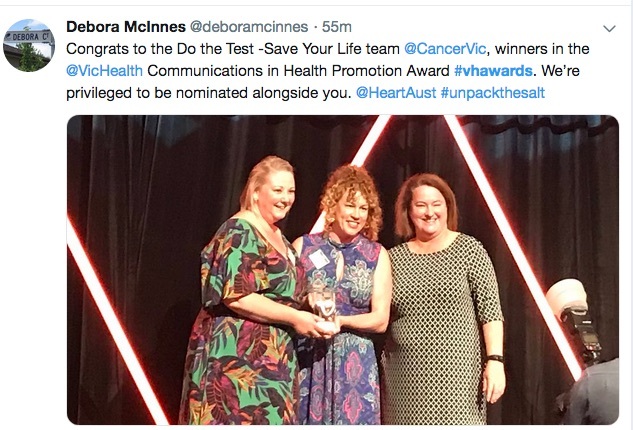 But it wasn’t just timing or luck, it also came out of a commitment to drive change, and to take on the naysayers, he said. 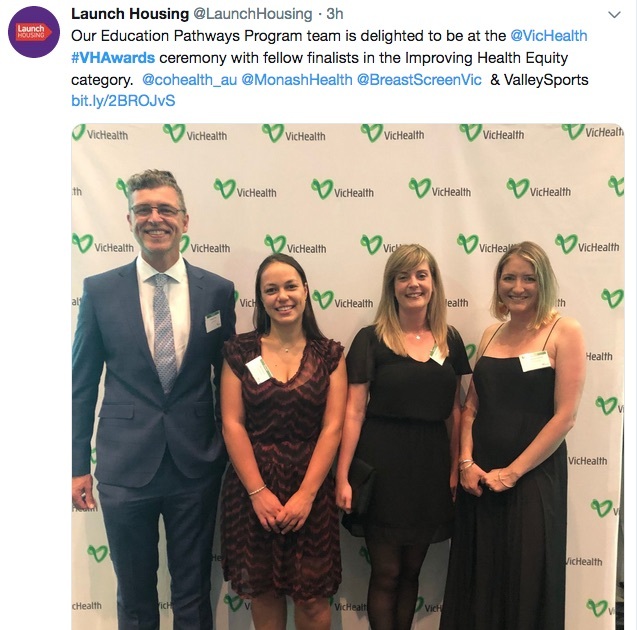 The St Kilda community in inner bayside Melbourne has strong links and history with the LGBTIQ community, including that it hosts the annual Midsumma Pride March, but the club knew football was not a safe or welcoming space. 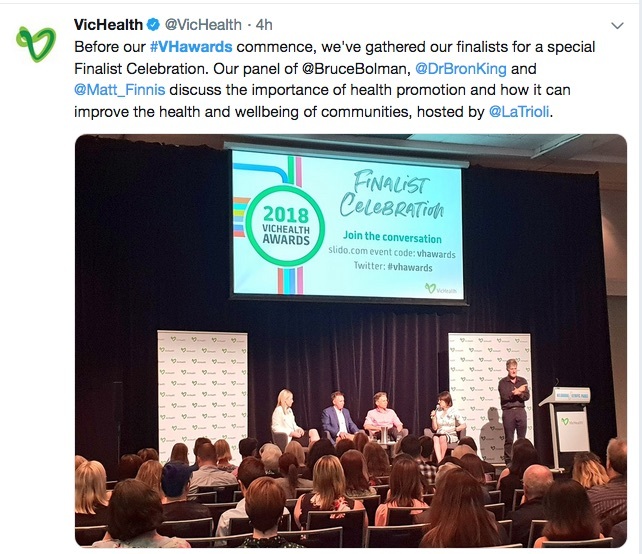 “The stark reality from our research was that a section of the community felt more welcome in the streets of St Kilda than they did in the stadiums where their football teams played,” Finnis said. 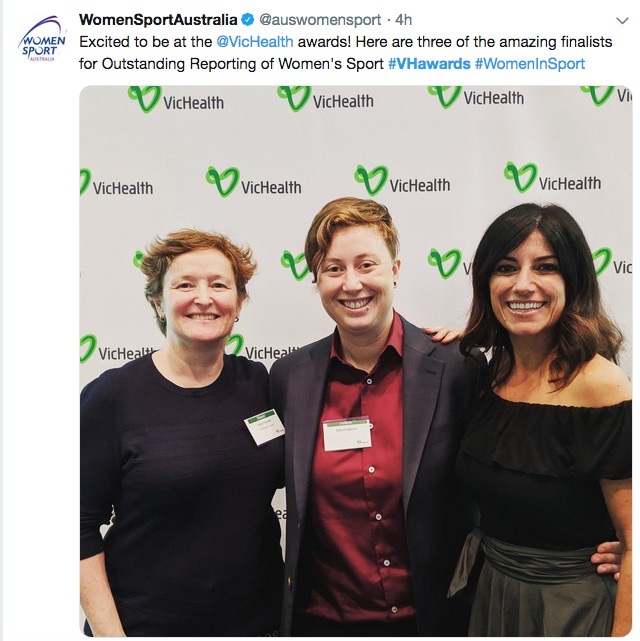 The response involved not only rolling out the welcome mat to LGBTIQ football fans, players, coaches and staff, but making “it relevant for people who didn’t see it as important” and countering the “PC gone mad” protestations from some who inevitably railed against it, he said. 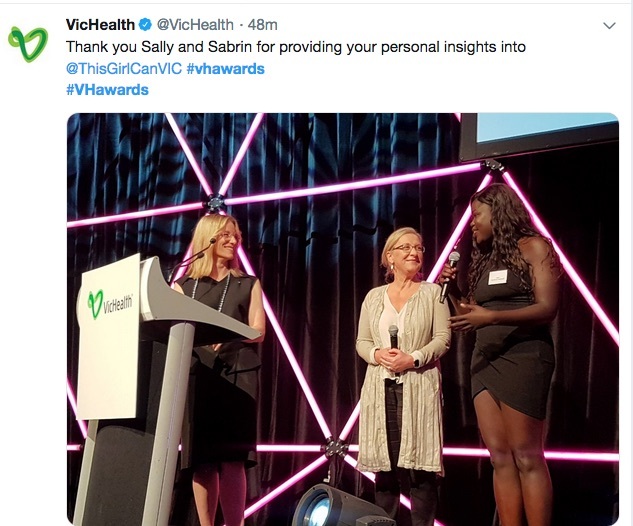 St Kilda sought to do that through the power of stories – about Jason Ball, Australian football’s first openly gay male player who organised the first Community Pride Cup in 2014, and through former St Kilda star Nicky Winmar, who famously called out racism in football, standing up in support of his gay son. 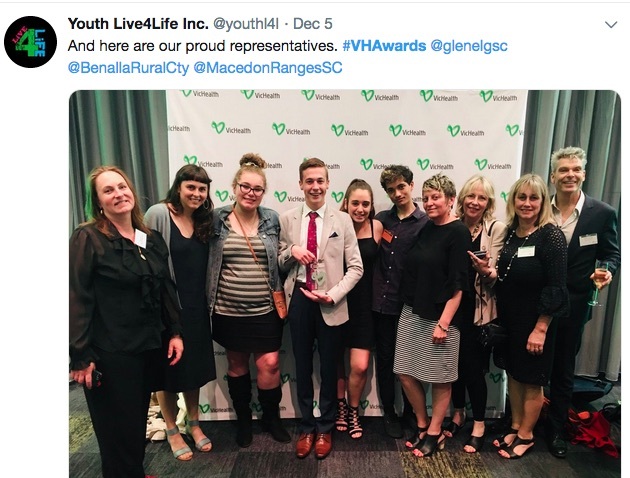 “When you tell these stories, you can cut through discrimination,” Finnis said. 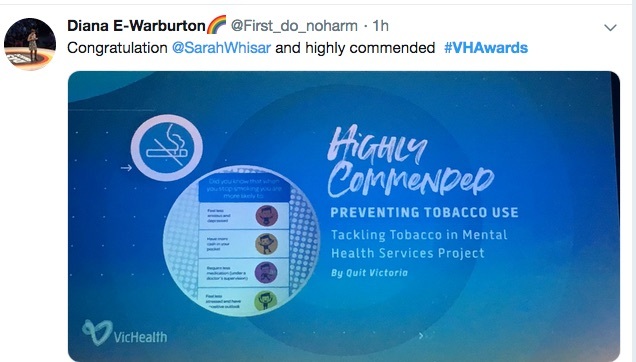 King agreed. 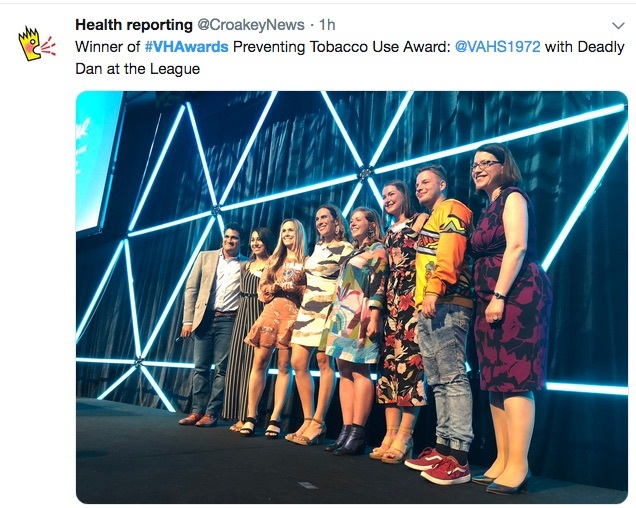 Although she finds it extraordinary that the deaths of 19,000 people globally each day due to tobacco do not receive daily saturation media coverage, she said their numbers and stories can really cut through in the corporate world and help build partnerships. 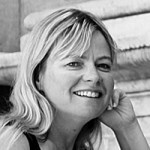 But the power is also in changing the stories or narratives, said Bolam. 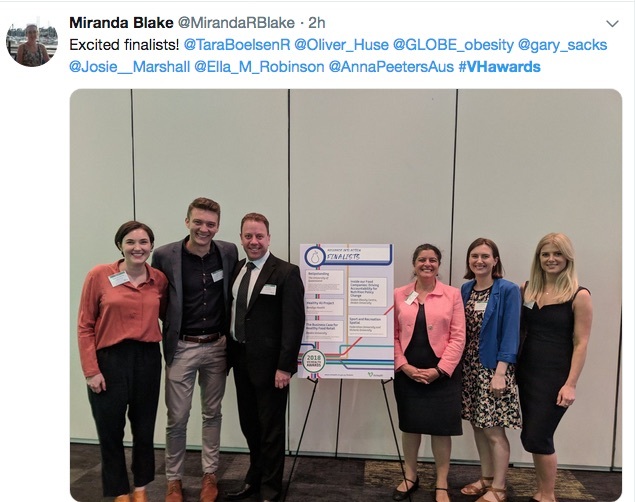 Like Wooldridge, who highlighted the opportunity that is “there for the taking” in a concerted campaign to address obesity, Bolam nominated obesity as the next critical public health issue to be addressed. 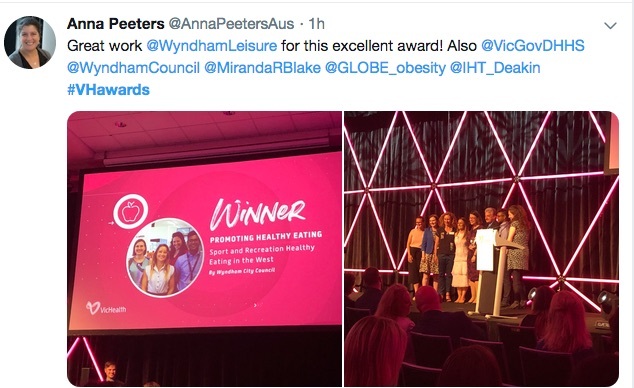 That involves being able to contest the narrative about obesity that has so successfully pinned blame on individual willpower, attitudes and parenting, instead of where it truly lies, in the environment in which we live, and in the food environment in particular. 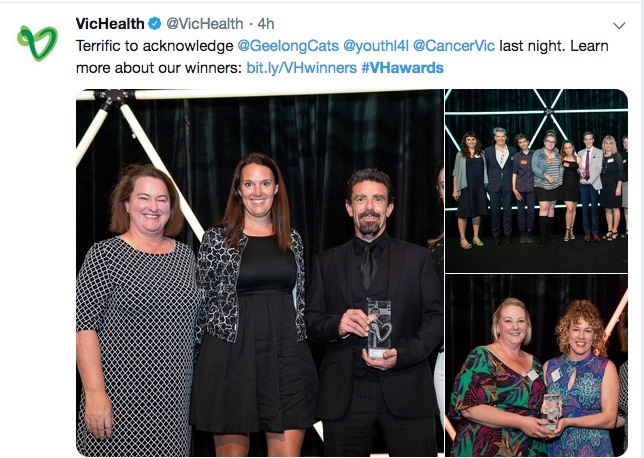 One of the VicHealth award winners – Deakin University’s Global Obesity Centre – has sought to improve that environment through its Inside Our Food Companies research to get Australia’s largest food companies to be more active and accountable in relation to obesity prevention and nutrition. 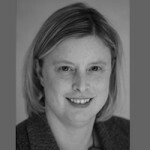 It’s at the industry level that we need to focus effort, Bolam said. 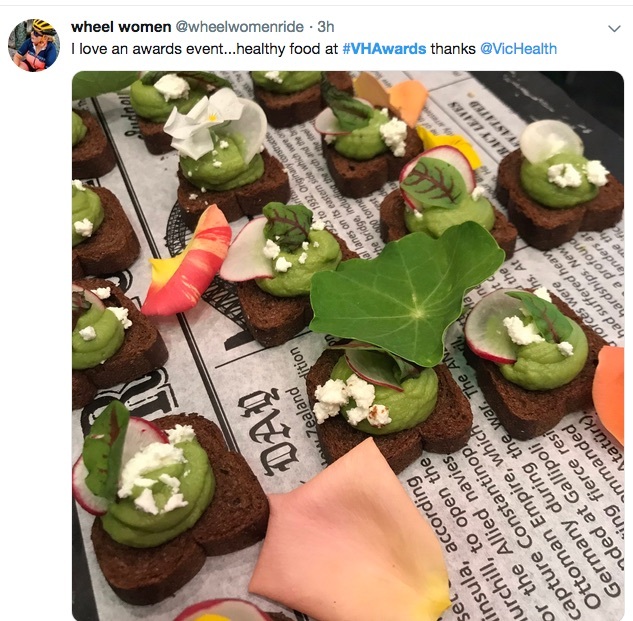 Our framing [on obesity] is still about will power. 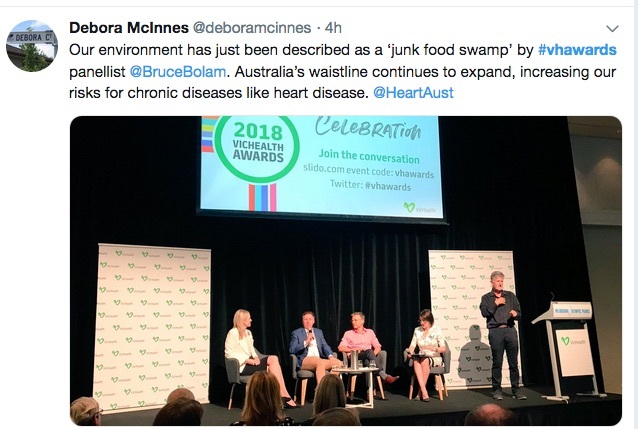 The entire environment is a junk food swamp with only little pockets of ‘non-swampery’. 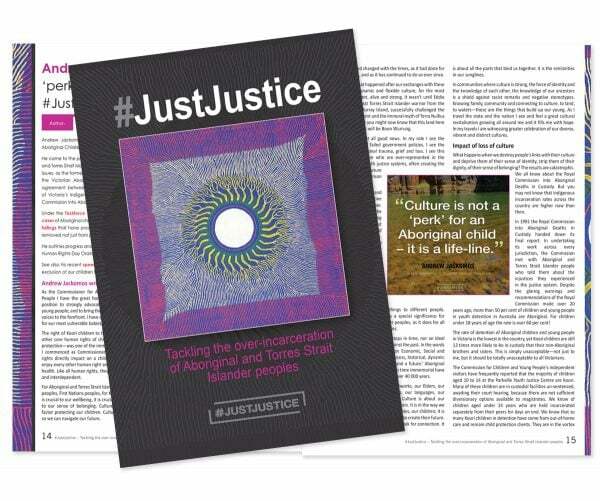 Angela Costi and Laura Chapman talk about a community education project that is letting people know about their rights and responsibilities, and importantly where they can go for legal or other support, in the face of attacks or abuse motivated by racism or religious discrimination. 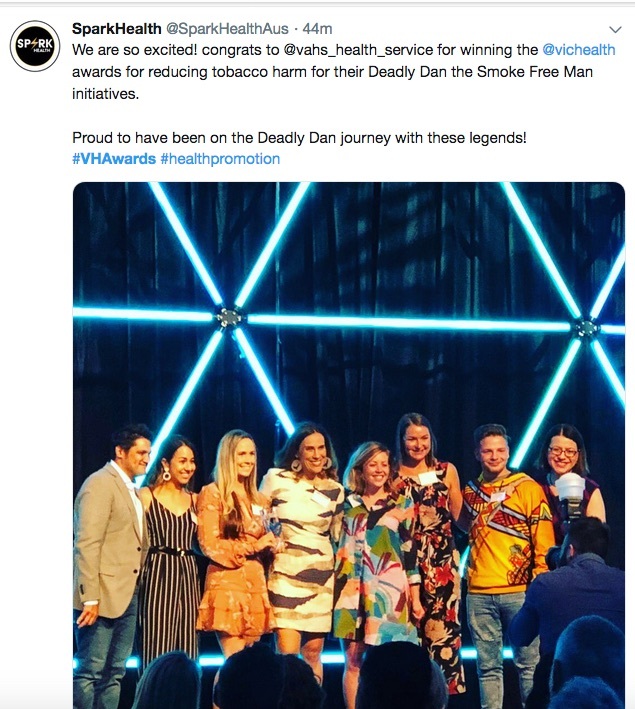 Lena-Jean Charles-Loffel from the Victorian Aboriginal Health Service talks about Deadly Dan, a smoke free superhero whose motto is “You smoke you choke!” and who takes to the skies with a suite of expanding, culturally relevant, age-appropriate, teaching and learning resources. 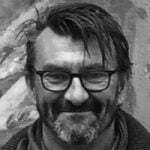 Check out the Deadly Dan movie! 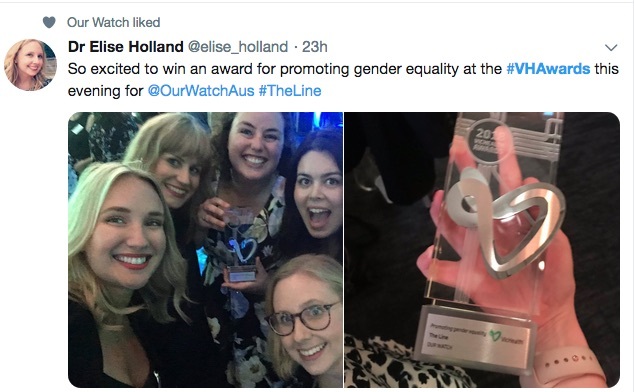 North Melbourne’s Cameron McLeod talks about the club’s gender equality action plan, a first in Australian sport, that aims not only to support women players but to have equal representation of women on the board and executive team and more women coaching at the highest levels possible. 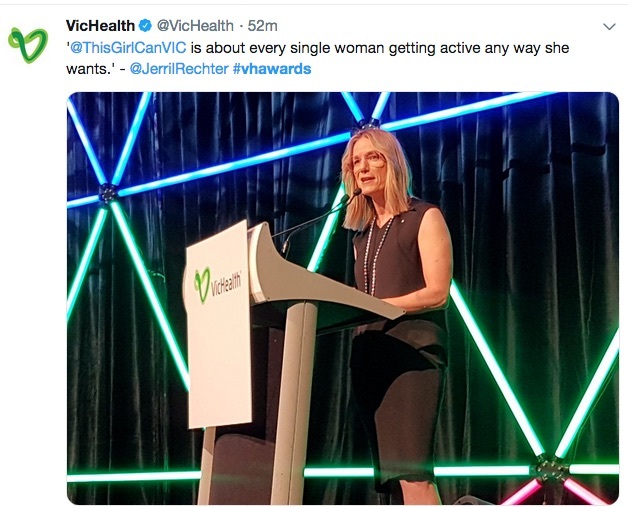 McLeod also outlines the Be Brave, Speak Up campaign launched by young people of mostly refugee background, who said that the number one reason behind their lack of participation in sport was racism. 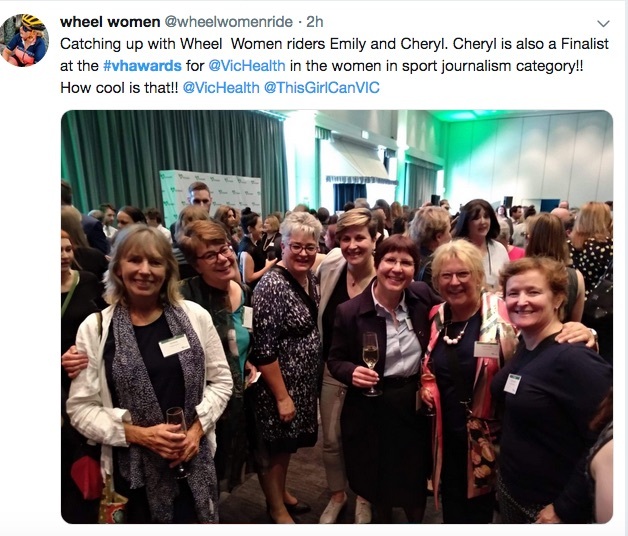 The campaign has been backed by sporting champions from across different codes and chalked up six million online views in one month, with its message: “If you see something, do something”. 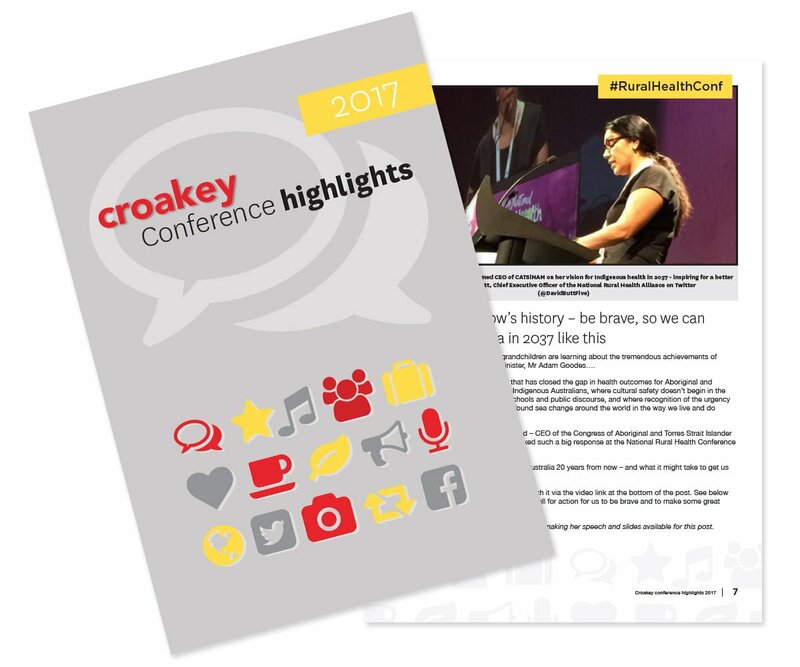 • Marie McInerney is covering the event for the Croakey Conference News Service. 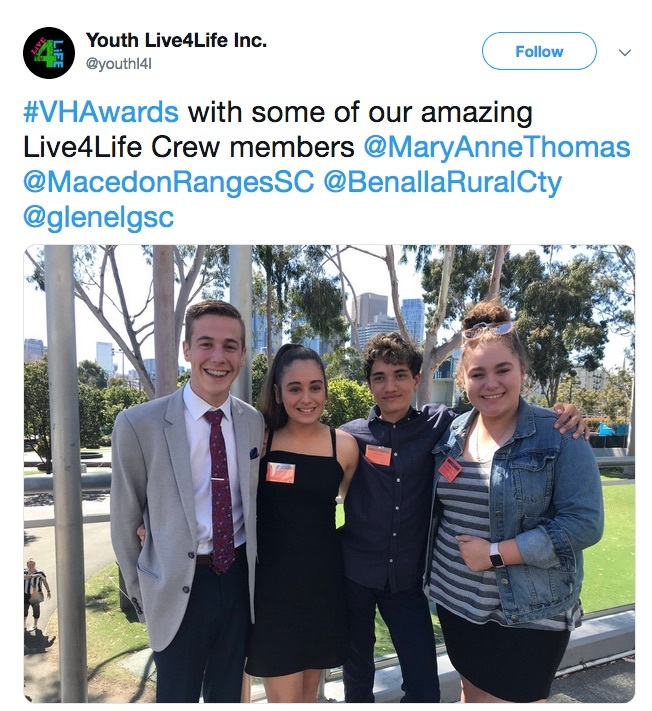 See the stories here.